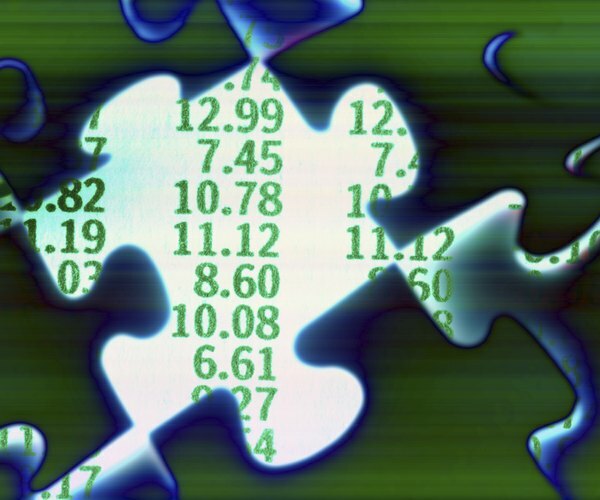 The weighted average share count is a key part of the accounting puzzle. The number of outstanding shares a public corporation has over the course of the year can vary significantly. Stock splits, issuance of new shares to executives and conversion of bonds to common shares are just some of the reasons the share count can change. When computing key financial ratios, such as earnings per share, the accountant first computes a weighted average share count. Knowing how to arrive at this critical figure will help you make sense of profitability measures. Determine the share count at the beginning of the period you're measuring. This figure is most frequently computed for a full financial year, though any time length can be measured. To determine the number of shares outstanding at the beginning of a financial year, review the balance sheet published at the end of the previous year. For example, to find the number of shares outstanding at the beginning of 2013, check the year-end share count figure for 2012, from the Dec. 31, 2012, balance sheet. Find out how the share count changed since the beginning of the period. The company's annual report will detail the key events, along with their dates, that resulted in changes to the number of shares outstanding. For example,100,000 bonds might have been converted into 1 million common shares on April 1. Then, the company might have bought back 2 million shares on Aug. 31, resulting in a decline in the number of shares outstanding. Compute the number of months each different share count level stayed constant. Assume, for example, that the company started the year with 10 million shares outstanding and this figure stayed constant until April 1. On April 1, a million shares were added to the total and this share count figure stayed constant until Aug. 31, when it declined by 2 million. Therefore, the share count was 10 million for three months, 11 million for five months and 9 million for four months. Multiply the number of months the share count stayed constant by the share count during those months. Add up all the figures and divide the total by 12. In our example, the calculation will look as follows 10,000,000*3 + 11,000,000*5 + 9,000,000*4. This adds up to 121 million. Dividing this sum by 12 results in a weighted average share count of 10.08 million.